The 40th annual Tri-C JazzFest, presented by KeyBank, will take place at Playhouse Square, located at 1501 Euclid Ave. in Cleveland, Ohio, June 27-29, 2019. Nearly 500 artists will perform indoors and outdoors for three nights and two days playing world-class jazz and other genres. DownBeat Magazine describes the festival as offering "the type of diverse, top-tier talent typically found at a much larger festival, along with some adventourous programming that was spiced with compelling international flavors." 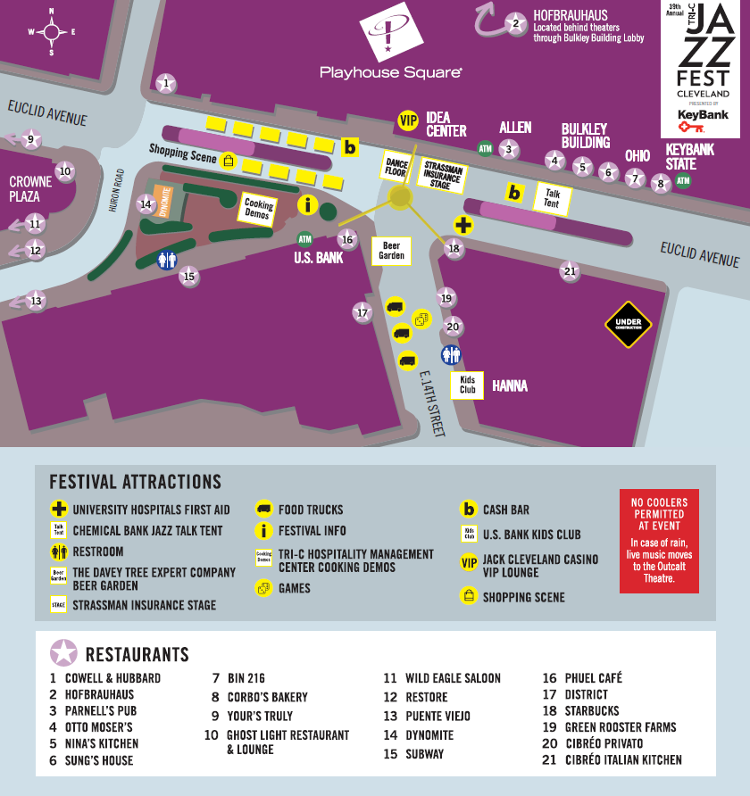 JazzFest also offers nine ticketed indoor shows, various free bands on the outdoor stage, Chemical Bank Jazz Talk Tent, shopping, Beer Garden, street performers and games, U.S. Bank Kids Club and much more! JazzFest partners with various Cleveland venues, including Playhouse Square, the Tri-C Metropolitan Campus, the Cleveland Museum of Art, BOP STOP at The Music Settlement, BLU Jazz+ and Nighttown. Purchase night or weekend parking in the Playhouse Square Parking Garage (located at 1450 Chester Avenue) in advance and save. Parking is just $15 online when you purchase prior to the day of your performance ($20 on site). Click here to purchase. Click here for more info on directions and parking. The Crowne Plaza Cleveland at Playhouse Square is the official hotel of Tri-C JazzFest Cleveland, and The Westin Cleveland Downtown is a partner hotel.